Our recent Scam Review and BLACKLIST notification about the SafeGuard Trader software, app, and Auto-trader as well as David Hefner has exposed some nasty fraudsters who are not used to getting their systems publicly smeared on the Internet in such a blatant way. These people have actually contacted us and demanded we remove our unbiased review, so instead we decided to fight back even harder and tell our members what happens after funding a trading account using this fake and deceptive app. In our previous post we have provided ample proof of how this deceptive software is fleecing people’s wallets and stealing their money. The actor is apparently very effective at convincing people to fund trading accounts, and his mumbo jumbo about the safeguard protocol and how it makes it “mathematically impossible to lose even a single trade” does the job very well. Our SCAM Review has proved without a shadow of a doubt that we have uncovered a vile and deceptive binary options investment scam and there is no room for hesitation, misunderstanding, or misinterpretation of the facts as they have been presented plainly, clearly and provide a factual base of evidence which can’t be disputed. We have received recorded telephone conversations from one of our members which provide a classic example of how scam brokers operate and how they are relentless at trying to get you to reinvest and fund your account again and again. We will make these recordings available in a private area on Facebook to all members where specific tutorials will also be provided at no charge. These training tools are designed to make you a much more savvy trader and show you how to identify SCAMS immediately. To qualify simple leave a message below the post indicating you are interested and make sure you are active on our Facebook Group and Subscribe to our YouTube Channel. This is probably the most frequently asked question we get here at BSA, and with good reason. Honest, hard-working people don’t really understand how they were deceived and tricked into registering with these services and end up losing their money. You should know this is not a personal attack, for these guys “it’s just business”, and you just happen to be the next victim. This happens because these fraudsters intentionally target the weaker segments of the population, not people who have a million dollars to invest with Goldman Sachs or HSBC. The good thing is that you don’t have to be scared or frustrated. We have drafted a very clear and easy to understand protocol for new traders which tells beginners what to do and how to avoid getting scammed online. SafeGuard Trader is Anything But Safe! We have done our best to warn and inform you about this app as well as similar ones. However, if for some reason you feel compelled to try it out I will personally put you in touch with one or two members who got severely burned by the Safe Guard software, and then you can decide for yourself how you wish to proceed. Why Do They Say It’s Free When It’s Really Not? Good question, it’s just a sales tactic and it works like a charm on most people. Here’s a short list of the nastiest SCAMS you will find available online today: The Millionaire Blueprint, The Free Money System, Drexel Code, Nesdek App, and the Lie Detector Millionaire. 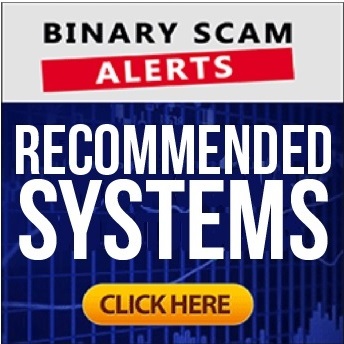 The SafeGuard Trader software, app, and Auto-trader as well as David Hefner is a confirmed binary options investment SCAM. If you have invested money, you will be contacted by a sales rep with a fake name who will ask you to reinvest money only this time he will not be asking for $250. These unsavory characters will use every trick in the book to bend your arm and get money out of you. Don’t let them fool you, they are not your friends and will stop talking to you the second they understand you have no money – and that’s what you need to tell them. If you are looking for a genuine or legit trading app you will not find it here, your best course of action is to stop and cash out unless the broker has proven to you that he can make money for you consistently and you can withdraw money at any time. If this is not the case or you have your doubts, simply move on and don’t look back.